﻿ Pilot F-16 Falcon PLUS Plates (Colors) - $219.00 : Bruised Boutique, For Derby. By Derby. It has only taken 30 years to make technology this much fun! All Pilot trucks and base plates are interchangeable. Get nylon (Eagle / Viper) today and upgrade to alloy (Falcon) in the future. 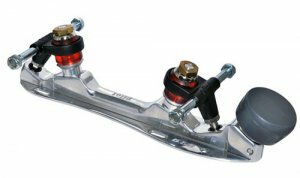 Get one-piece trucks today and upgrade to adjustable PLUS trucks in the future. It's that simple.